Reducing chronic absence is a key metric of a new grant program, Learning Communities for School Success, administered by the State Department of Education. Funded through Prop 47, the program is open to local districts to support research-based strategies designed to improve school climate and mitigate the school-to-prison pipeline through evidence-based, non-punitive programs and practices, aimed at keeping the most vulnerable pupils in school. 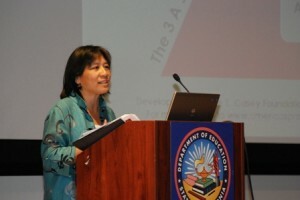 California announced funding for grant Cohorts 1 and 2. Learn more about this program from Children Now, and Education Trust. Chronic absence is a top priority for the California Department of Education (CDE). 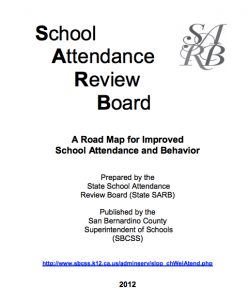 The CDE provides ongoing guidance and information to districts about how to improve attendance through its State School Attendance Review Board, its SARB Handbook (updated in 2015) and its Model SARB recognition program. In addition, each August the CDE uses this chronic absence display (right), in the lobby of their Sacramento headquarters to raise awareness. This display lists the 2018 Model SARBs, and describes the recent availability of statewide chronic absenteeism data in the state’s DataQuest portal, which enables schools and districts to determine which student groups require the most resources and interventions. The State Superintendent of Public Instruction also frequently uses his office to promote action, such as this February, 2016 letter encouraging districts to invest in dental health services, and this letter in August 2015, and in August 2017, prompting school districts to get involved in Attendance Awareness Month. The Superintendent sent this letter from December 2015 on strategies appropriate for this time of year. The California Attorney General’s Office has analyzed the extent and impact of elementary chronic absence and truancy since 2013. The most recent 2016 report shows that chronic absence affects 7.3% of California elementary school students, with disproportionately high rates of absenteeism and suspensions for youth of color, as well as low-income, homeless, foster and special education students. Click here for more information. 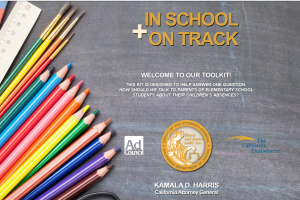 The AG’s office, the Ad Council, and the California Endowment released a Positive Parent Messaging toolkit in February 2016. 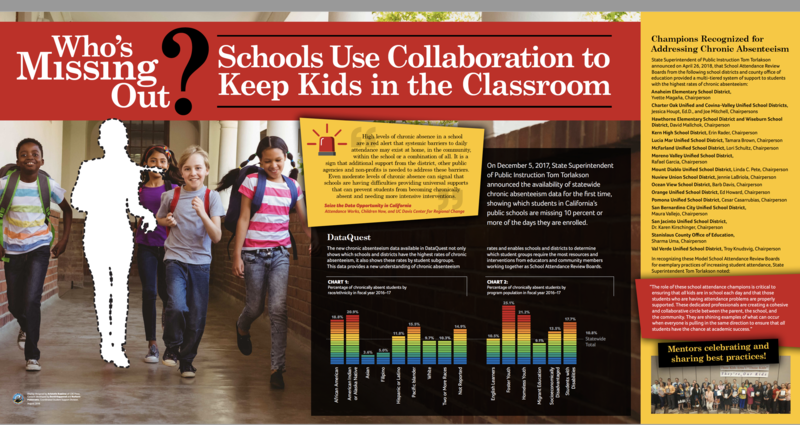 The toolkit includes research, communication tools based on the research, and recommendations for district and community leaders. Click here to read our blog about the survey behind the toolkit. California Chief Justice and Chair of the Judicial Council Tani Cantil-Sakaute launched a Keep Kids in School and Out of Court initiative in 2014 and sent a letter to Juvenile Court judges. Read Mapping the Early Attendance Gap: Charting A Course for School Success. This report, released by Attendance Works and Healthy Schools Campaign in September 2015, encourages states to dig deep into their attendance data and determine the who, what, when, where and why of their chronic absence problem. Read the in-depth state profiles for California, Rhode Island, and Utah. Chronic Absence Definition: In September 2010, then-Gov. Arnold Schwarzenegger (R) signed legislation that encourages districts to collect chronic absence data and add the data to the CALPADS longitudinal student data base, as long as funding was available. This supports an early warning system for identifying students at high risk of dropping out. See analysis about the law. Attendance Awareness Month Resolution: On September 11, 2014, the California legislature approved Assembly Concurrent Resolution No. 149, authored by Assemblymember Shirley Weber and declaring September 2014 as School Attendance Awareness Month. Watch the media briefing on YouTube, and read more on the Attendance Works blog. The California School Board Association released a model Chronic Absence and Truancy policy in Spring 2015. The CDE's State Attendance Review Board's most recent sample policy reflects the new statute for attendance supervisors that became effective January 1, 2017. 69 communities, schools and districts posted their involvement in Attendance Awareness Month on the Attendance Action Map in 2016. See the map here. 126 superintendents from California districts have signed on to the attendance Call to Action issued by Attendance Works and the Campaign for Grade-Level Reading. See the full list here. The Chronic Absence and Attendance Partnership (CAAP) has been the leading advocacy network promoting the chronic absence related events and achievements described on this page. CAAP is led by Attendance Works, Children Now and the Partnership for Children and Youth. CAAP works to improve outcomes for students at risk of poor academic performance and dropping out of school. CAAP seeks to raise awareness, promote the collection and use of data on attendance, support the development of early warning systems and promote the use of chronic absence data to help schools and community agencies (including health services, family resource centers, afterschool, and early childhood programs, etc.) coordinate their resources. Definition of truancy: 3 absences without a valid excuse or 3 times late to class by 30 minutes. Click here for more information. Accountability for addressing chronic absence: Under California’s Local Control Funding Formula, chronic absence is an accountability measure for pupil engagement. Districts are required to report on this measure and describe how they will address it when submitting their Local Control Accountability Plans. 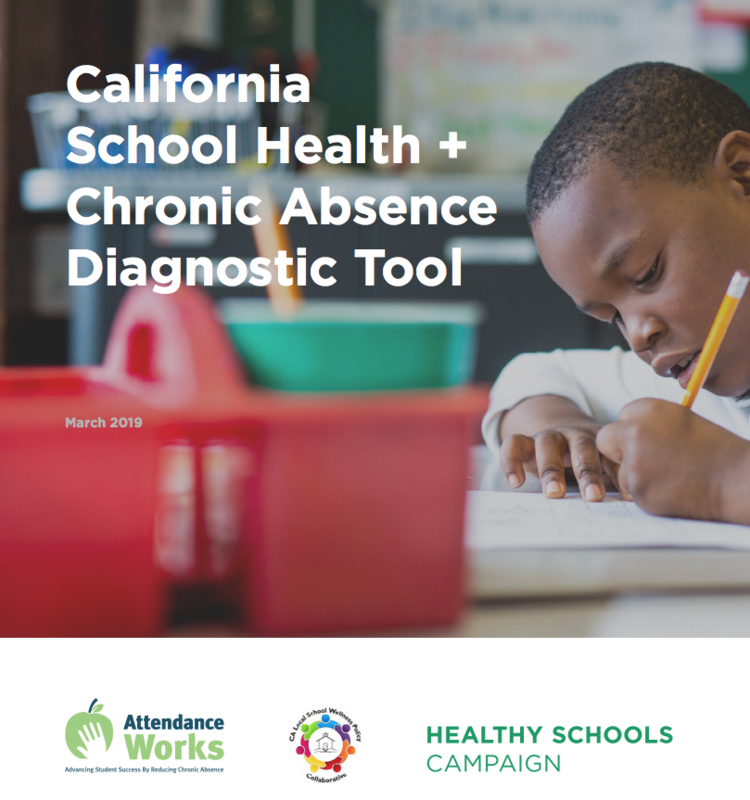 Attendance Works, Healthy Schools Campaign and the California Local School Wellness Policy Collaborative developed California School Health + Chronic Absence Diagnostic Tool to determine the health-related root causes of chronic absence in a school or district, and identify interventions and funding sources. 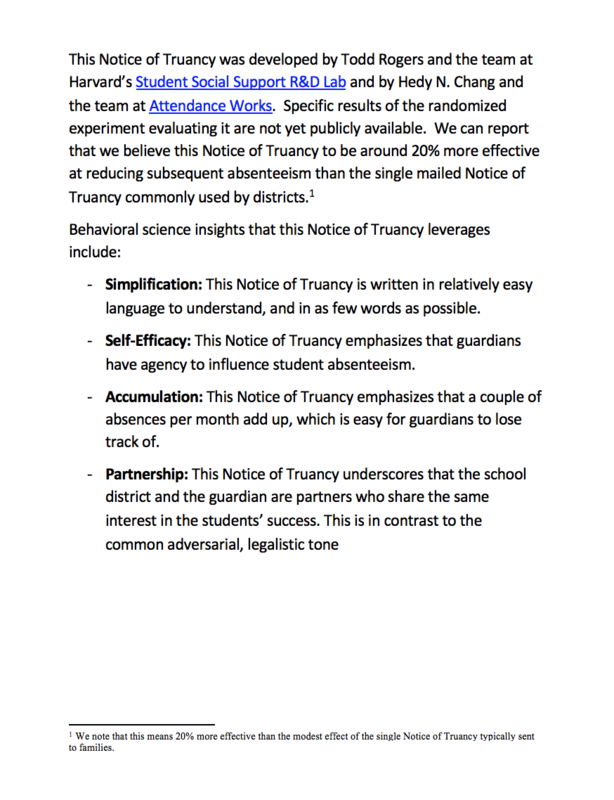 Attendance Works and Todd Rogers with Harvard’s Student Social Support R&D Lab developed a series of updated Notice of Truancy (NOT) letters for California. The researchers believe this approach is more effective at reducing absenteeism than the single mailed NOT letter. 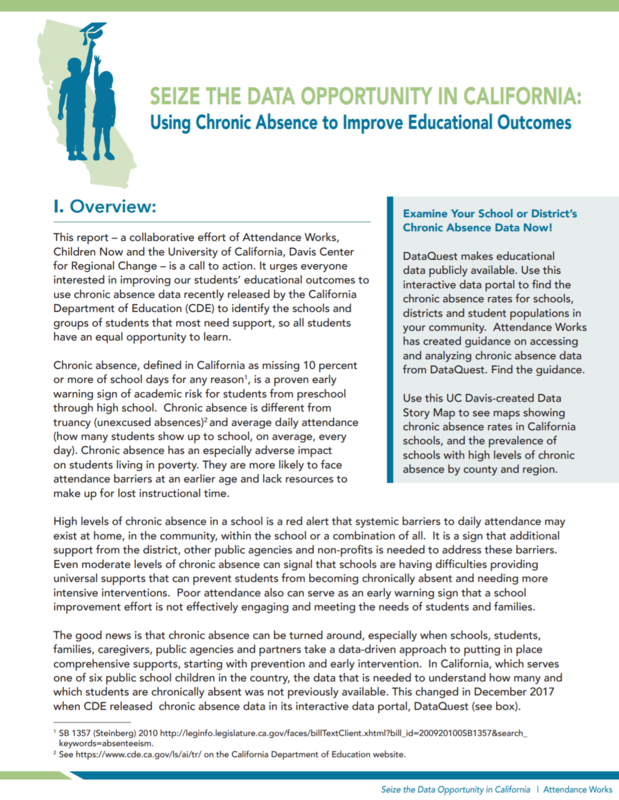 Attendance Works collaborated with the Center for Regional Change at UC Davis and Children Now on Seize the Data Opportunity in California: Using Chronic Absence to Improve Educational Outcomes. Published in May 2018, the report analyzes the chronic absence data released by the California Department of Education through the DataQuest portal, and looks at how chronic absence varies across different types of schools and is distributed geographically. 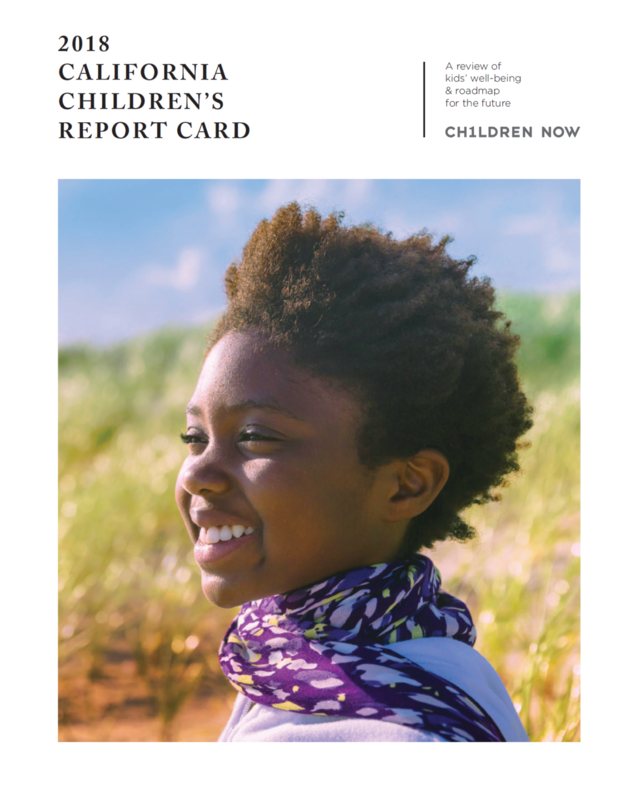 Children Now: In February 2018 Children Now released California Children's Report Card that gives the state with a B- grade for addressing chronic absence, and includes policy recommendations. The Los Angeles Unified School District (LAUSD) developed Notice of Truancy letters in several languages, including Spanish, Korean and Armenian. The letters for first, second and third notice begin on page 234 in the district’s Attendance Manual. Attendance Works created this toolkit for California principals. Principals are uniquely positioned to ensure their schools adopt a comprehensive, tiered approach to improving attendance that fits with their overall approach to promoting academic achievement. California Department of Education CDE offers these strategies for improving attendance. It created a new handbook for local School Attendance Review Boards, which emphasizes the importance of looking at the percentage of students missing 10 percent or more of school days and intervening to turn around problems. 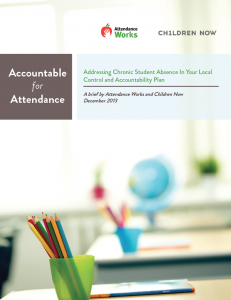 Attendance Works: Attendance Works and Children Now released Addressing Chronic Student Absence In Your Local Control and Accountability Plan to help California districts, county boards of education and communities deploy reduce chronic absence. 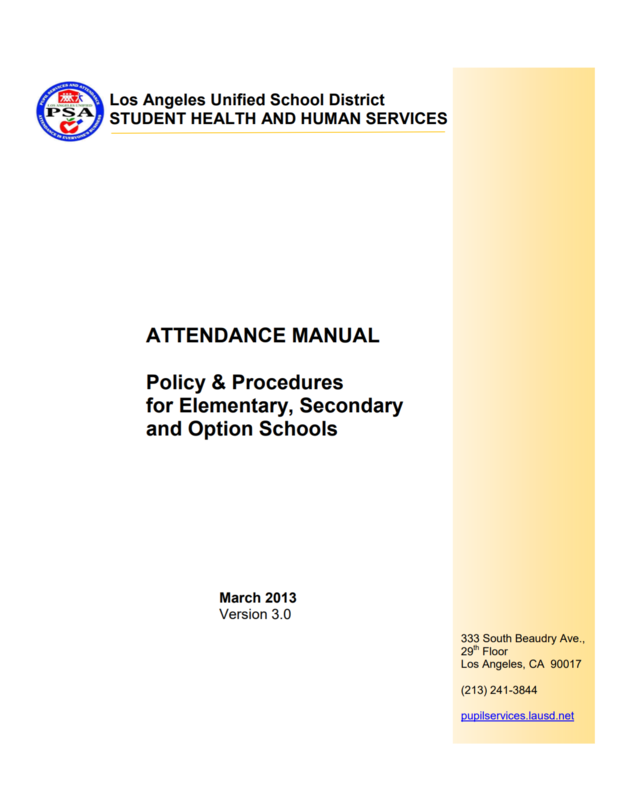 Attendance Works wrote a brief for district decision makers in California. 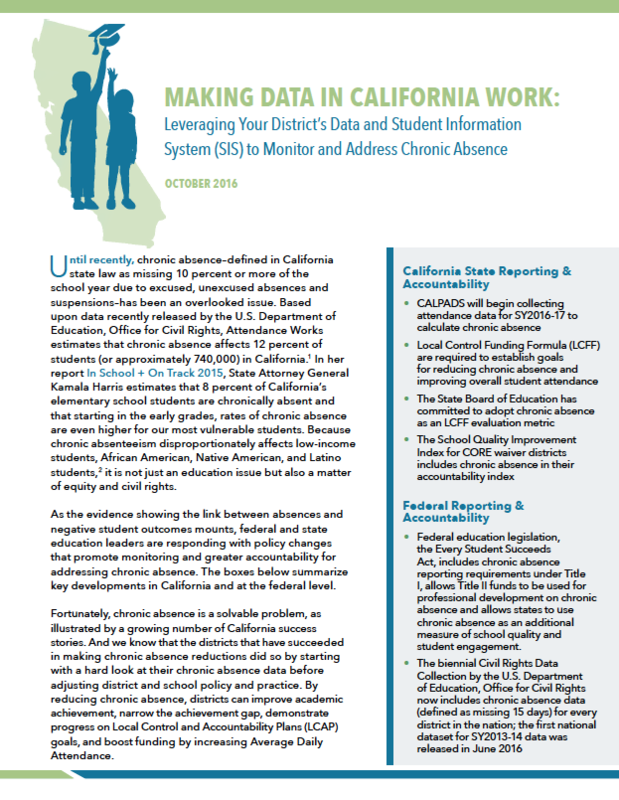 The brief, Making Data Work in California, provides guidance on collecting and using chronic absence data while leveraging Student Information Systems (SIS). It highlights opportunities for using data to meet new requirements in CALPADS and the Every Student Succeeds Act. California School Boards Association: The Association developed this fact sheet to help school boards develop the best policies and practices for addressing chronic absence. Attendance Works released new data tools tailored for California school districts in April 2015. Data Quality Campaign: The DQC created this state-by-state breakdown of chronic absence policies. UCLA released these reports about absences related to asthma and dental problems. Hayward: Hayward Unified School District in California’s Bay Area knew that many of its students were missing too much instructional time. But when it came to addressing the “attendance problem” more comprehensively across the district, Hayward officials needed some support. Read more here. Oakland: The Oakland Unified School District in California is a leader in tracking and addressing chronic absence, using a city-wide approach that has reduced chronic absence rates from 16 percent in 2005-06 to 11.9 percent in 2013-14. Read more here. The California Department of Education, the Campaign for Grade-Level Reading and Attendance Works hosted a webinar Nov. 4 at 3 p.m. PT spotlighting the work of California principals who have led their schools and communities to do the hard work of reducing chronic absence. View the recording here. State education and law enforcement leaders came together with about 300 educators in California’s Riverside County on Sept. 18, 2015 to discuss strategies for improving school attendance. The Reducing Chronic Absenteeism Regional Summit drew a range of stakeholders, including state Superintendent of Public Instruction Tom Torlakson; Jill Habig, Special Assistant Attorney General of California; Attendance Works Director Hedy Chang; Riverside County District Attorney Michael Hestrin; and Riverside County Superintendent, Kenneth Young. One local district, Corona-Norco Unified, was specially recognized for its effective, data-driven approach to reducing absences. California state leaders gathered in Sacramento to recognize Attendance Awareness Month and launch an interagency effort to combat chronic absence. State Superintendent of Public Instruction Tom Torlakson, Secretary of Health and Human Services Diana S. Dooley, Assembly Member Shirley Weber, Superior Court Judge Stacy Boulware Eurie and Special Assistant Attorney General Jill E. Habig each committed to address chronic absenteeism in their own arena. Watch it live here. Working Together: An Interagency State Policy Forum on Chronic Absence featured state Superintendent of Public Instruction Tom Torlakson and State Secretary of Health and Human Services Diane Dooley, along with other state officials, discussing how agencies can work together to reduce chronic absence. Works and the Chronic Absence and Attendance Partnership in May 2011. The forum, hosted by state SuperintendentTom Torlakson, introduced the importance of tracking chronic absence.